RealtyGuru is a real estate company that leases out high end properties like rent apartments, flats, houses in New Delhi and NCR region to people, mainly expatriates. Expatriates are people who come from other countries to India on a temporary work permit. The company was founded on 23 October 2010. Initially when it was started it only had a fist full of clients but now after marketing the business online , saw 40% overall increase in business and number of clients went higher. Initially when Mr. Tariq Zaidi founded RealtyGuru as a real estate company very few people knew about it. He was only able to close one to two deals a month. The biggest challenge for Mr. Zaidi was to reach out to the customers both in Delhi & abroad mainly the European countries. He was leasing out properties mainly to expatriates but his product information could not reach the target market. He employed few sales people to promote his product but was able to close only 1 to 2 deals a month in spite of making all efforts and expenses. Besides, there is too much competition in offline marketing whether it is tele-calling or SMS marketing or any other ways of offline marketing. In the mean time, he met one of his friends who suggested him that he should prefer online marketing to reach his target market as that will not only help him reach out to potential customers abroad easily but will also be less expensive. He thought it a good idea and did some research about marketing his business online. Initially, he had no clue how to go about it. However, somehow while doing research he embarked upon DSIM’s website and met its Director Mr. Kunal Choudhary, and had a conversation with him over his concern. Now, he had two ways to get online marketing done for his business either by hiring a professional or doing it himself. He chose to do it himself as otherwise he had to make more expenses one on the professional and other on the resources such as website designer, web hosting and so on. Besides, if he would know digital marketing tactics himself can drive his business more efficiently and it will also be good for him in the long run. He finally enrolled himself in one of the weekday batches of the digital marketing training at DSIM. Mr. Zaidi found that his potential customers were unaware about his business as it was not reaching to his target market, which were mainly expatriates. People certainly search for accommodation before they visit the place and that very seldom somebody would search for an accommodation while he or she has actually reached the destination. So, Mr. Zaidi realized that he must put across his message to the right people at the right time and place. As far as Delhi and NCR is concerned Mr. Zaidi was able to reach his customers through tele calling and SMS marketing but what about those who were residing outside India as they were his main potential customers. Besides, he realized that people these days mainly search for things online whether it is India or abroad and that an online visibility is crucial for his business. Moreover, online marketing not only has wide reach or is less expensive but is quite interactive and engaging as well. He finally settled on marketing his business online. The first thing in this direction was to create an effective website and market it online through various channels. Mr. Zaidi took digital marketing training from DSIM. He learnt how to create a website and various technicalities to market it online. During the training he created his own website and various digital marketing strategies for his business which mainly included landing page creation to generate leads of expatriates from European countries by online advertising and advertising on search engines like Google. At DSIM, he also learnt how to make lead nurturing strategy in order to convert visitors into potential leads and finally to potential customers. He used email marketing to convert leads into sales. Later on he went ahead measured and analyzed different online marketing platforms that include website, search engine optimization, search engine marketing, online advertising, social media, email marketing, lead generation and more. This is how he found the ultimate marketing strategy that worked best for his business. He preferred to compare time frame trends in order to assess the accomplishment of each internet marketing campaign for RealtyGuru. It helped him know what is working for the campaign and what part of the endeavor is going in vein. It also helped him know the areas of improvement and decide where to invest time and money both. To make the website compelling for new and repeat visitors high quality photography, video and rich media were used. Multiple opportunities for feedback and interaction were created. Multiple ways were designed to share content via social networks. Website’s structural design and copy were optimized for search engine visibility. Clear calls-to-actions were created to move the customer smoothly through the sales funnel. Extensive on-site SEO to improve brand, generic and longer tail search engine results. Improvement of key landing pages, URL rewrites and site structure optimization. Submission on Articles, press Releases, classifieds and blogs in major Directories. Put online booking form placed on left navigation. Meta tags focused on users as well as search engines. 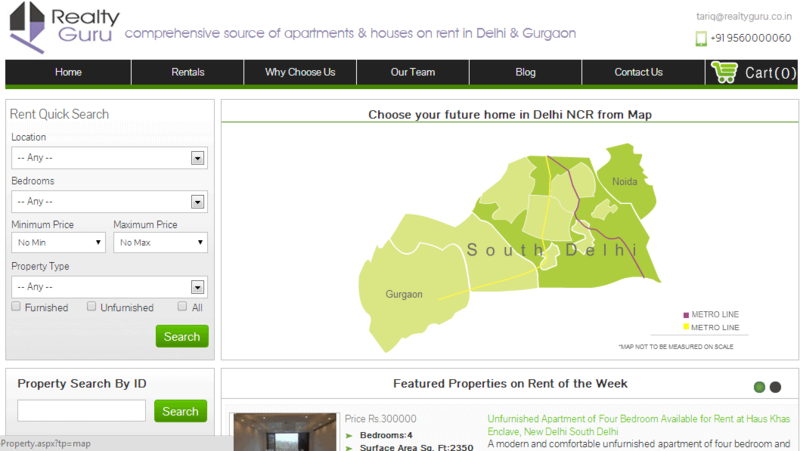 Within three months it led to a dynamic web presence for RealtyGuru attracting and engaging more and more prospects. A sound stream of new leads being consistently added to the database through email registrations. 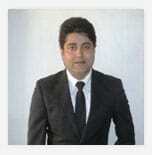 Hi,I am in Real Estate business and had a web-site developed but made no business out of it. I contacted many internet marketing professionals to help me generate leads through my web-site. As usual these guys were promising me everything possible under the sun but when I asked them “how” they came up with SEO on the keywords which had very low competition. I was not satisfied at all and thought of doing a course on internet marketing myself. After searching for days and talking to many marketing schools, I came across Kunal from DSIM. In first meeting itself I realized that I am at right place and SEO or Social Media Marketing are not the only things in internet marketing but the complete course of Internet Marketing. I was so impressed that I immediately enrolled myself, during the course I learnt the complete Internet Marketing and found this very effective for every business. After finishing the course I re-designed my web-site www.realtyguru.co.in keeping my target audience in mind and today I am a happy man with many visitors online.